On Tuesday February 13 as part of LGBTQ history month, Barnardo’s Healthy Identities is hosting training around LGBTQ awareness for health and voluntary professionals across Calderdale. This will also be an opportunity to learn more about the work of Healthy Identities with a possibility of exploring partnership opportunities. The event is free but you are asked to register at Eventbrite. The course is being held at The Elsie Whiteley Innovation Centre, Hopwood Lane on Tuesday February 13, 1pm-4pm. Research shows that young LGBTQ people are not accessing health services, even at a time when organisations are striving for equality, diversity and inclusion. Mandatory training is often insufficient to meet this need. This training is designed to increase awareness and improve support and accessibility to services. It is suitable for GPs and health professionals, as well as any other organisations that work with young people. 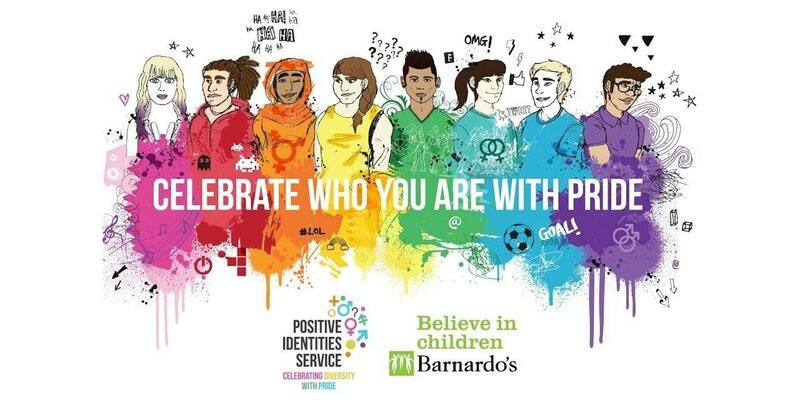 Barnardo’s Healthy Identities is part of the Positive Identities Service – a service that works with and for young LGBTQ people across Yorkshire. “Healthy Identities – I am me” is a two year universal primary preventative health project delivered by Barnardo’s; working with lesbian, gay, bisexual, transgender young people and those questioning their sexual orientation and/or gender identity (LGBTQ) up to 25 to recognise and empower them to access physical, emotional and mental health support in their local communities.